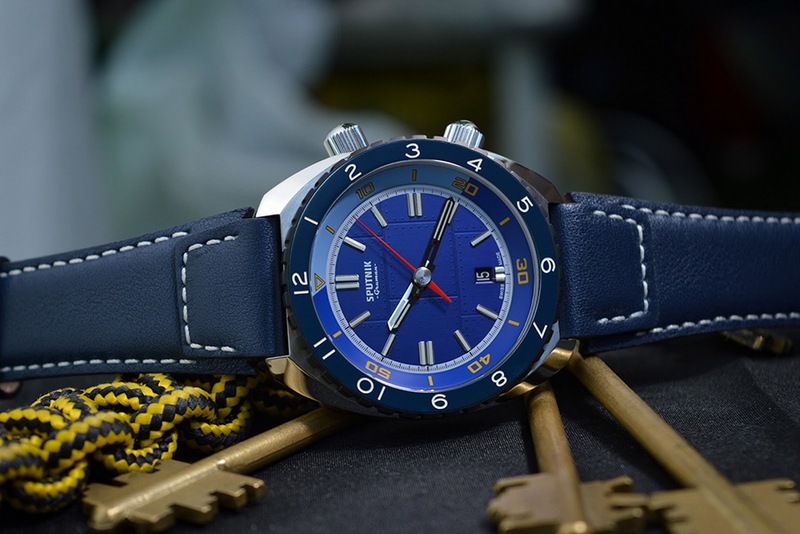 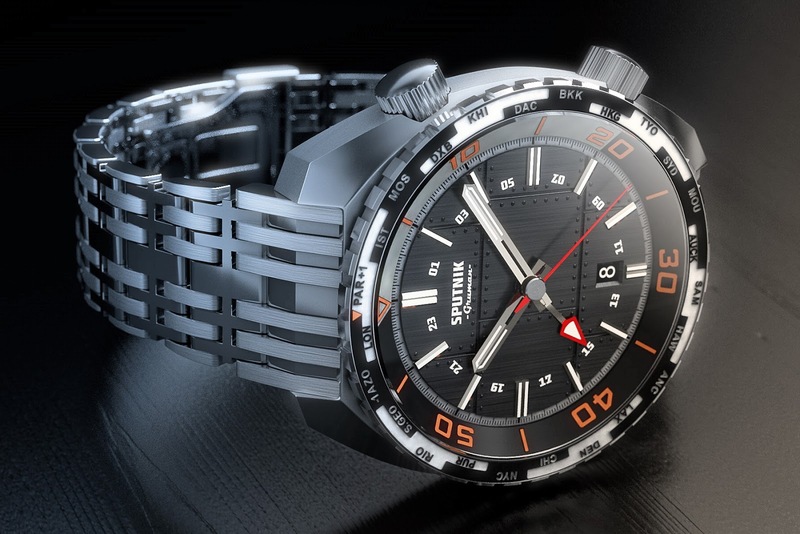 You don’t have to be a Russian Cosmonaut or even seasoned Diver to appreciate the virtues of the new Sputnik and Sputnik GMT from Swiss start-up, Gruman. 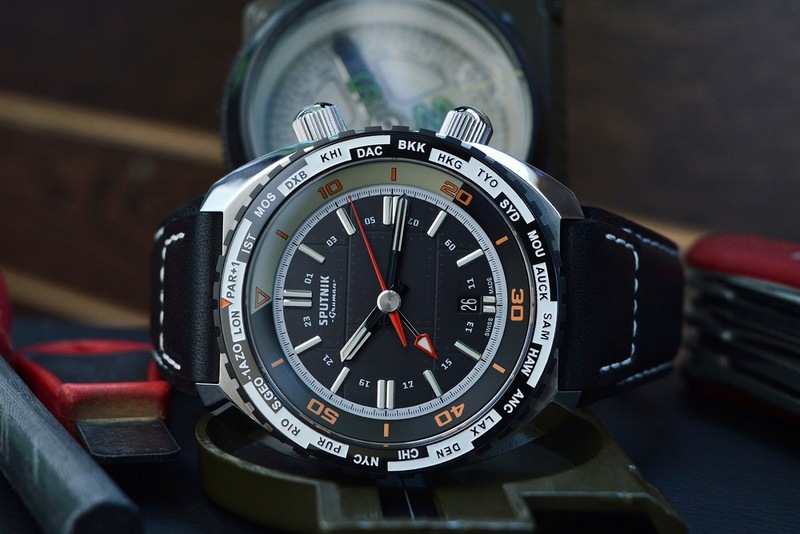 Armchair-aviation, desk-diving and a sense of wonder are plenty enough to make the most of the swath of utilitarian features that these watches have to offer. But if you were an astronaut or scuba diver, then the Sputnik’s dual-timing bezels and water-resistant 316L surgical grade Stainless steel case should stand you in pretty good stead. Whether 22,000 miles up, orbiting the Earth or 200 meters, below exploring its oceans, there are two common denominators, both environments are extreme; both require a reliable instrument to keep track of time. The Gruman Sputnik with its 200 meter water-resistant Super-Compressor case and modified Swiss Made Elaboré Grade, Sellita SW200-1 automatic movement will provide all the reliability you could ever need. 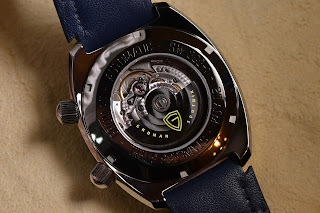 The movement boasts Perlage decoration and a custom Ruthenium rotor with Côtes de Genève radials plus an engraved and Gold gilt logo – all on display through the Sputnik’s Sapphire crystal case-back. 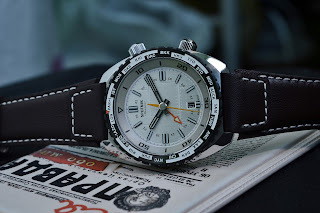 The Sputnik’s case has been given a vintage cushion-design. It measures 44mm in diameter (without crown) with a lug-to-lug measurement of 50mm and height of 12.6mm. 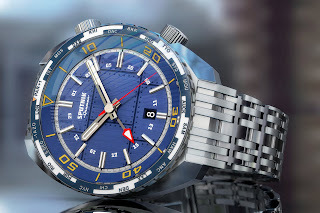 It is fitted with: a tough double AR-coated (inner) Sapphire crystal and chunky rotational external bezel. 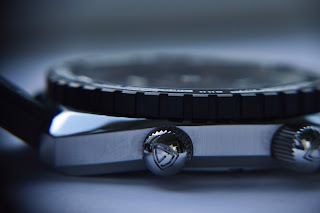 Two large polished, screw-down crowns can be found on the right lateral side of the case – the one at 4 o’clock is used for time-setting while the one at 2 operates a bi-directional timing bezel with 50-min scale and 12hr marker. 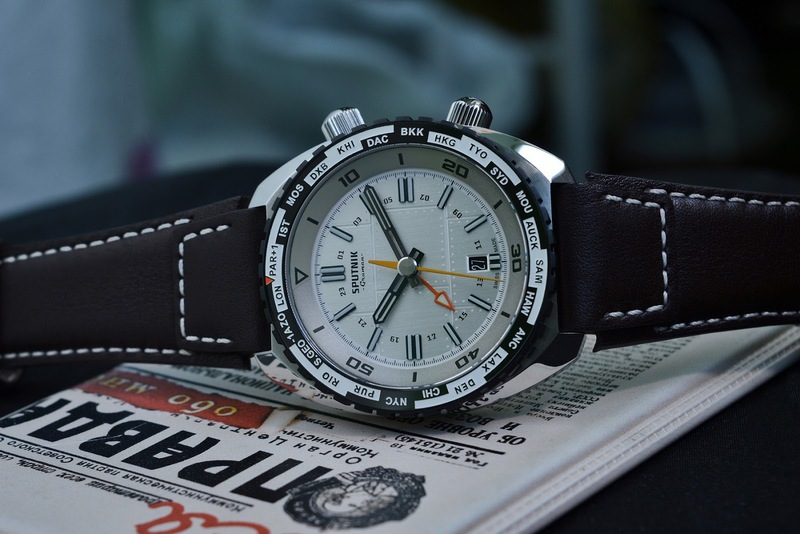 While the inner timing-bezel takes care of dive-time the outer rotational bezel could be used for any number of activities – opt for the GMT variant and the bezel becomes a World-Timer, perfect for globe-trotting but every bit as appealing even when confined to your office. 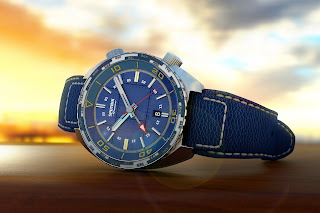 The Sputnik is a watch that has been created with a certain amount of imagination – take for instance its dial, available in several colors, its masculine style is inspired by the bolted metal plates of a satellite's fuselage. Rather than printing, this uses engraved lines and brass embossed bolts / rivets. 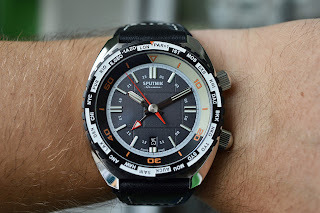 Swiss SuperLuminova provides good legibility for black space and murky ocean depths alike. This type of hybrid styling should appeal to both lovers of divers and pilot watches, which is why the Sputnik’s final feature, a beautiful, custom-machined link-bracelet inspired by the panels of satellite offers all the aesthetics of a high-end aviation watch with all the utility of a rugged sports watch. 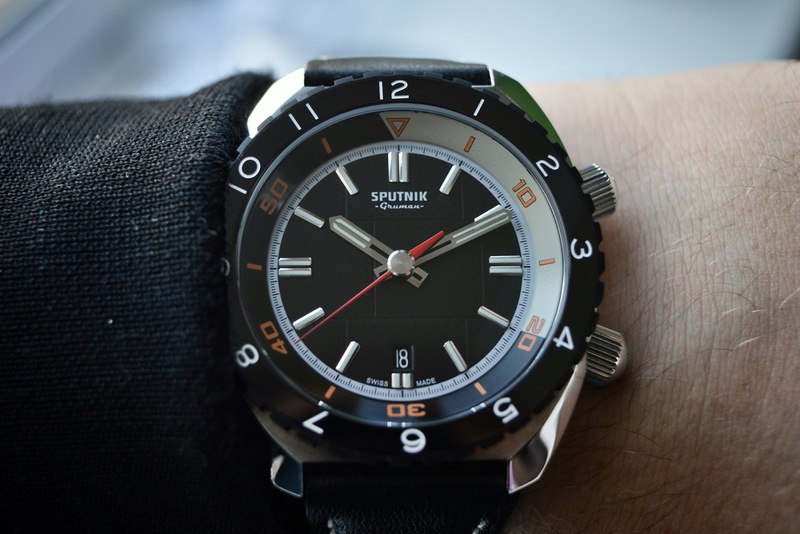 The Sputnik combines an interesting mix of styles with Swiss craftsmanship and a price-tag that is very much down to earth. 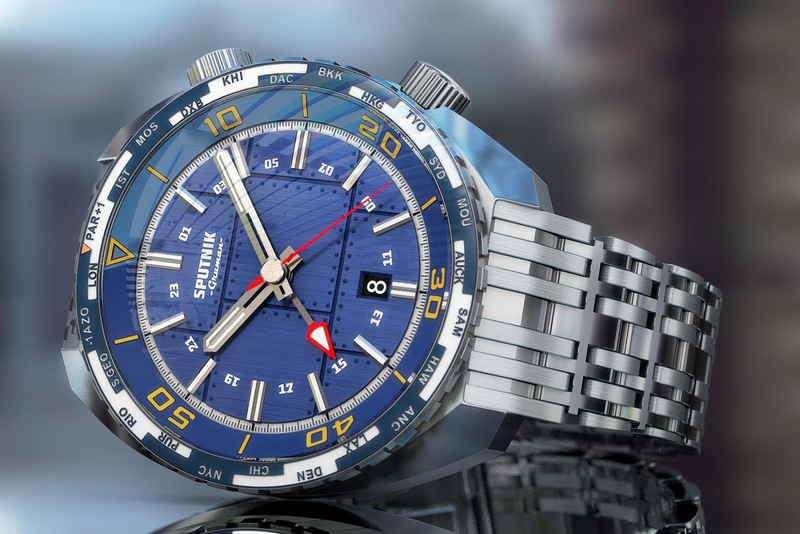 Please follow the link, embedded below for full specifications and pricing on the Gruman Sputnik and Sputnik GMT.